Choosing an office space in Cebu can pose a challenge for startups, and any decision you make have a positive or negative effect on how you operate your business. If you choose a location that’s quite off-the-grid, for instance, you may have problems in leading potential clients and partners who may want to drop by your office. What’s more, you have to consider your decisions based on how you see your business in the future – not just how you’re doing right now. What if my business booms in the future? Any young business must consider not only what it needs at the moment, but also the potential of business expansion and other factors that may change the space requirements of the company. If you don’t have the current budget to lease a bigger office, maybe you can consider a shorter lease term or try looking for a space with an adjacent area where you can expand your operations when your business needs to. Is it the ideal commercial location? Consider where the members of your staff live and whether the location you are choosing is convenient for most of them. A stressful and long commute may even encourage them to look for employment somewhere that is more accessible. 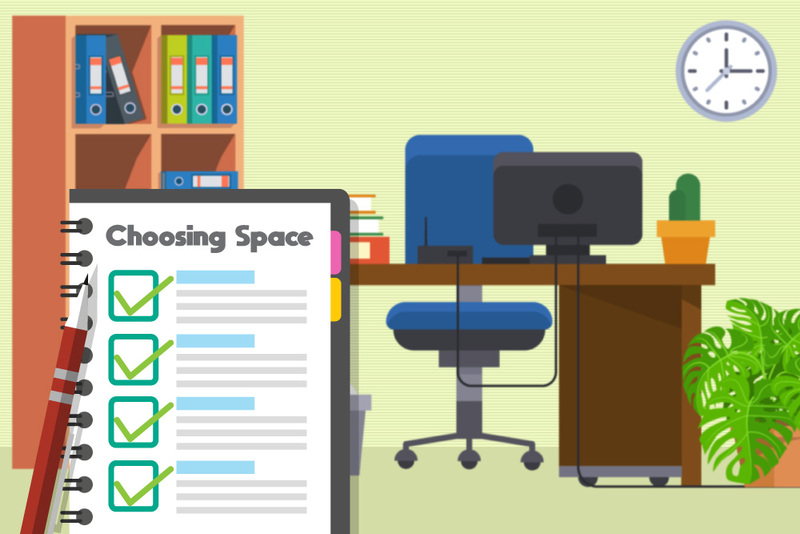 Let your staff weigh in on your location before deciding to settle in your new office. Is it accessible for clients and walk-in visits? As transport costs continue to grow, you may want your business to be accessible for your customers. If you choose to go to a suburban location with cheaper costs over a prime spot, you may lose some walk-in clients. However, in this age of social media, Skype and Viber, you may even want to check if the lower costs of going off-the-grid may offset profit loss from having fewer walk-ins. Does your location project the brand image you want to show? Consider the signals you send out when you pick an office spot. Your office space will be much more than just a place where people work in – it also creates an impression of how reputable you are or how much money you are making. Some companies go the distance in glamming up their space so that they can show it off to potential clients and businesses. Having a shoddy workspace may lead people to question if you are a business they can trust. Is there a convenient space to park? It is very crucial to consider if there is ample parking space in the building as well as how much money parking may cost your staff or clients. Is there enough parking space for both employees or clients? Are you open to sharing space with other businesses? Space sharing with other startups may save you money – not only for office rent but also for expenditures relating to amenities you share. A benefit you can get, aside from savings, is the potential that you can also build strong partnerships if the businesses you are sharing space with is related to your industry. Imagine the possibilities of being in a social media marketing business and you are sharing space with graphic artists. However, make sure that any terms and conditions are legally and formally agreed on to avoid any issues that may arise from this type of office set-up.